On March 7, Vinita traveled to Akron to speak about the regulations of exporting chemicals and hazardous materials to India. 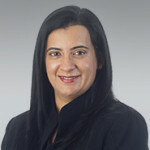 After giving an overview of exporting to India and the state and position of the country’s market, Vinita gave a specific look at exporting chemicals, explaining the challenges of administrative rules and legal regulations and examining India’s import policies and their special requirements for chemical imports. She discussed types of custom duties and rules applicable to hazardous chemicals, and gave practical tips for contracts and their enforcement.